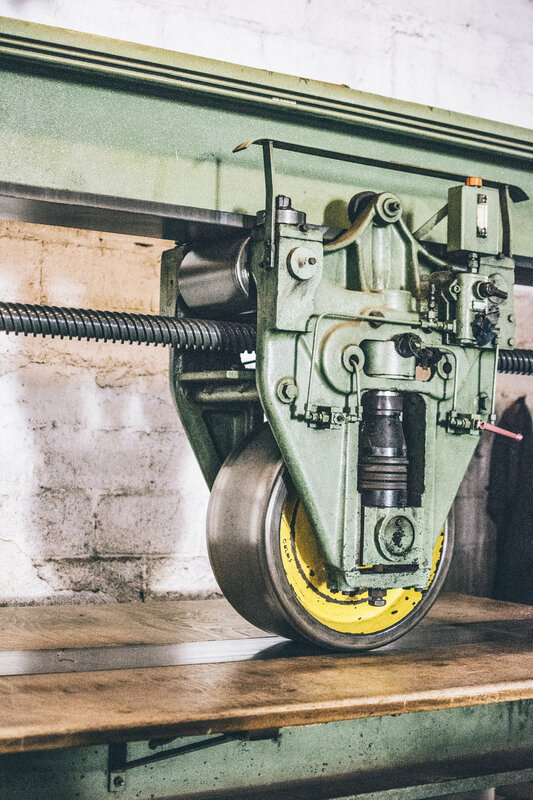 We source our leather directly from the tannery, avoiding expensive middle-men and enabling us to have a voice in how its made. 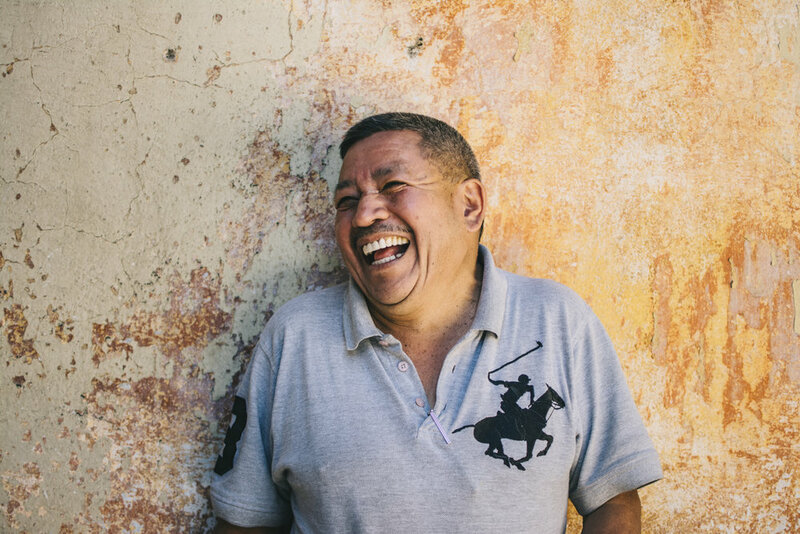 All our bovine leather is vegetable tanned custom for Bolso using 98% organic compounds at Teneria San Miguel, the award winning most ecological tannery in Central America. The tannery is 65 years old, its employees are tenured and highly trained, it is operated by the sons and daughters of the founder. We only use adult cow hides that are completely free of abrasions, with vegetable tanning this requires the animals are raised in an abuse & barb free environments with proper vaccinations and diet. 90% of the water used in the tanning process is in a closed-loop system, with the remaining 10% coming from less invasive processes, which is then treated before being discharged into the municipal system. 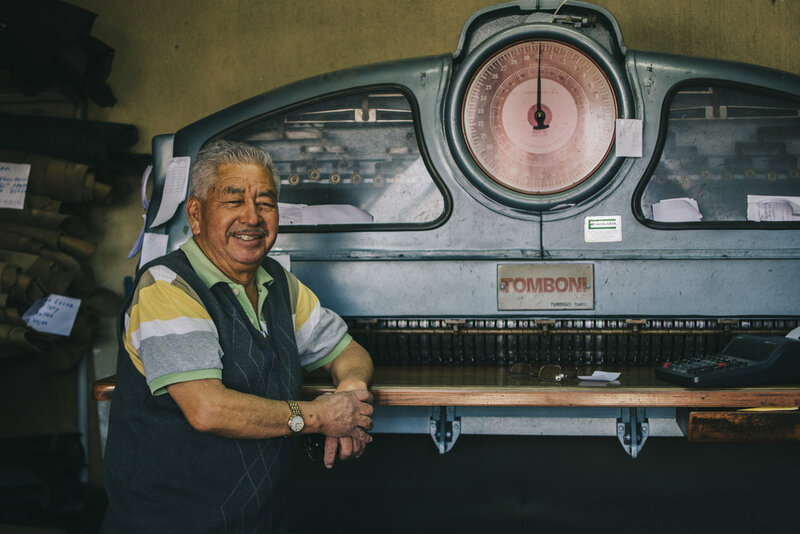 This is Rodrigo, he manages Teneria San Miguel with his siblings after inheriting it from his father who founded the company 65 years ago. 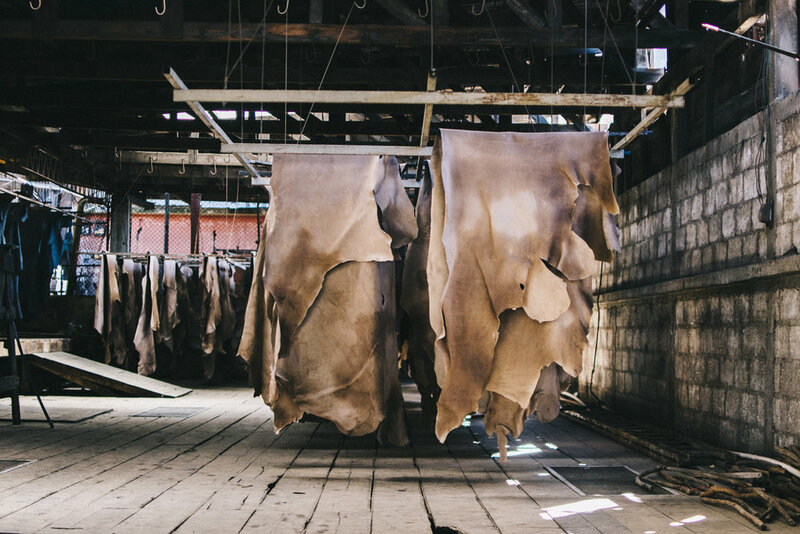 The company has endured a dictatorship, civil war, and a number of other financially tense moments over the years, but has managed to create the most eco-friendly and sophisticated tannery in Central America, winning an award from the United Nations for their efforts. The Central American cattle industry flows north, from farms in Nicaragua, Honduras, and El Salvador to Guatemala for auction and processing. As a result Guatemala is the largest leather producer in the region with a majority of the meat being sold through Mexico to North America and Europe. The quality of leather that Bolso requires dictates that animals be raised in proper conditions, fed well, and not abused. By creating increased demand for this quality of product we hope to spur growth in better practices at farms across the region making ethical practices more common place. Two types of tanning that compose the majority of leather are chromium and vegetable tanning. While chromium is the more efficient of the two, the leather produced is more synthetic and uniform, all the while containing numerous harmful chemicals. 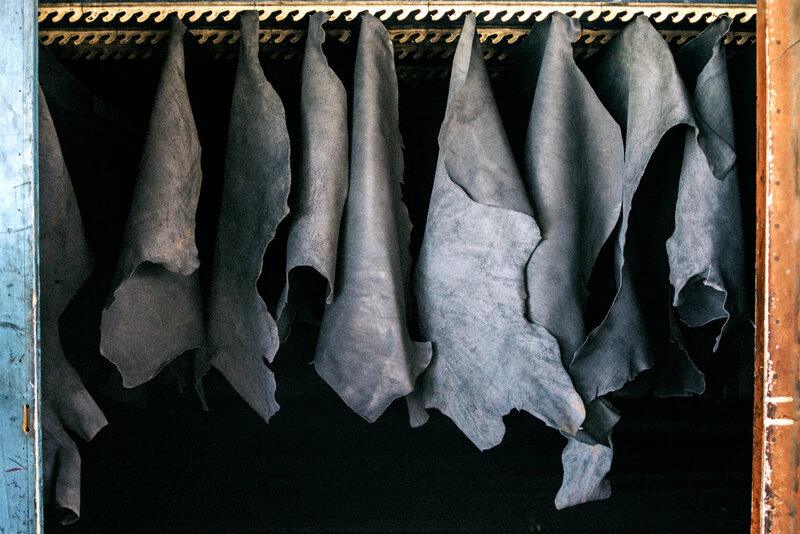 Vegetable tanning uses tannins that occur naturally in the bark and leaves of many plants, it composes a very small portion of the overall leather market, only 5% globally. The blend of all the components in our proprietary formula is 98% organic, resulting in a very rich and natural finish. Organic dyes and finely tuned curing give us our final product, made to age beautifully it gains a gentle patina over time while softening tremendously. We advise to use our handmade leather conditioner, a blend of locally sourced bees wax, sweet almond oil, and coconut butter. Blended to deeply hydrate with oils and condition with all-natural waxes, it provides a rich finish, soft to the touch, with a lite tropical scent.